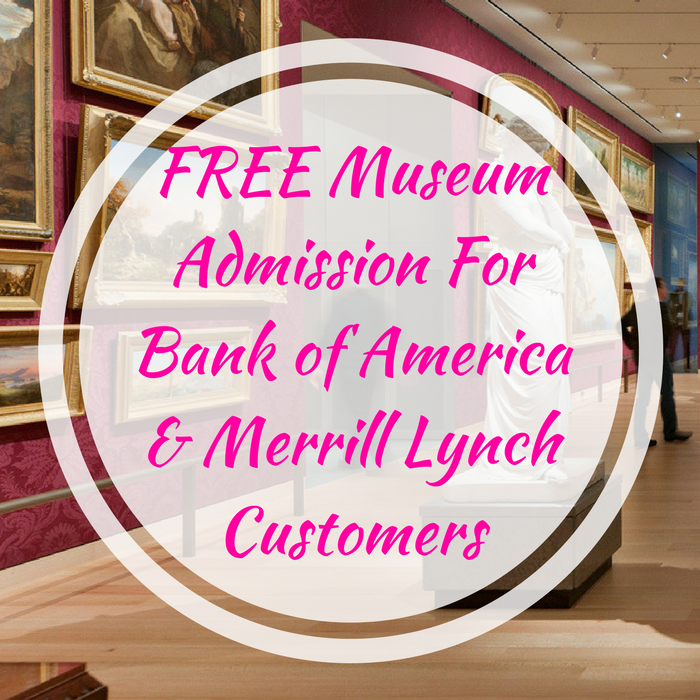 You are here: Home / Great Deals / FREE Museum Admission For Bank of America & Merrill Lynch Customers! On March 3rd and 4th only! Calling all Bank of America and Merrill Lynch customers! Get a FREE Admission to more than 175 participating museums and cultural institutions. All you need to is just present your Bank of America, Merrill Lynch, or U. S. Trust credit or debit card along with a picture ID to gain your FREE admission. This is going to be a fun day for the whole family! Thanks for the heads up on the email notifications!